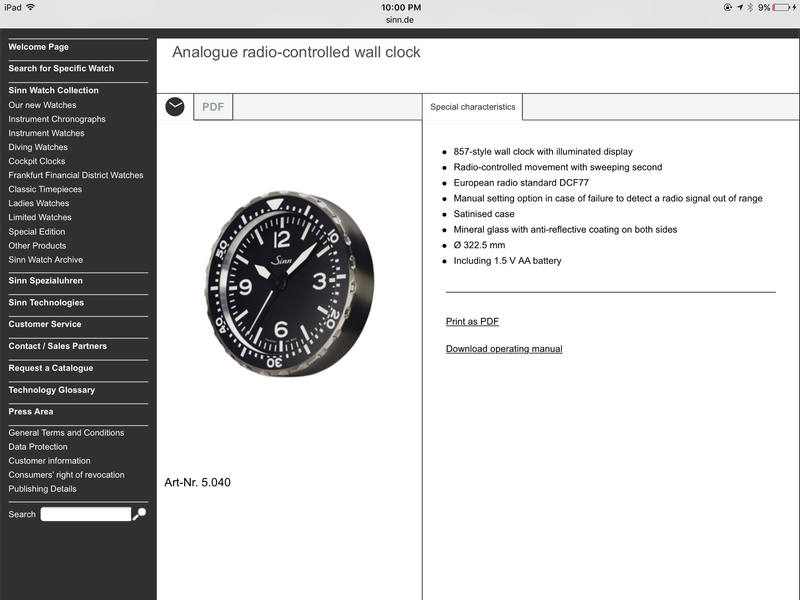 The Dive Watch Connection • This is cool... 857 Sinn wall clock! This is cool... 857 Sinn wall clock! Re: This is cool... 857 Sinn wall clock! I saw a Breitling pilot wall clock once in a dealer in Santa Fe. He want huge money for it. I saw that a few weeks ago when looking for the new ezm 1.1. $350 usd is not bad. I'm really considering. I'm still liking my Seiko wall clock I bought years ago with a sweep seconds hand. Is it a Tool Wall Clock?